According to scholars’ estimates, by the start of the 21st century humankind had destroyed about 50% area of the forests that had previously existed on the planet and is continuing to do that at a rapid pace. The forecasts about how it is going to affect the ecosystem are exceptionally negative, because forests are by no means merely a source of wood for humans. It is way more important that forests have a key influence on the planet’s water balance, the soil condition and the quality of air. 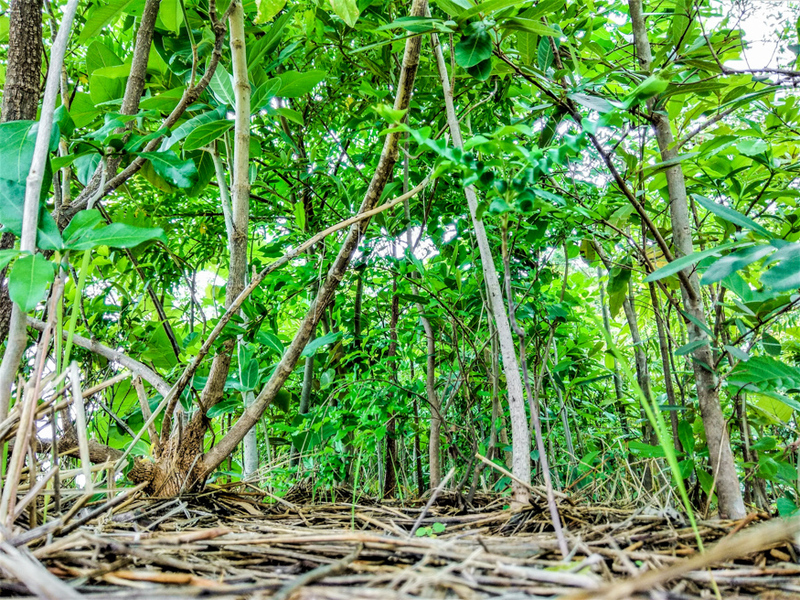 Forests strongly influence climate, weather and carbon balance, and they also have an enormous positive effect from sanitary-hygienic and health standpoints. Shubhendu Sharma is one of the people who care about this problem. The company he founded, Afforestt, is involved in the restoration of lost forests in various places on our planet. And Shubhendu has kindly agreed to tell our magazine a few things about what Afforestt does. 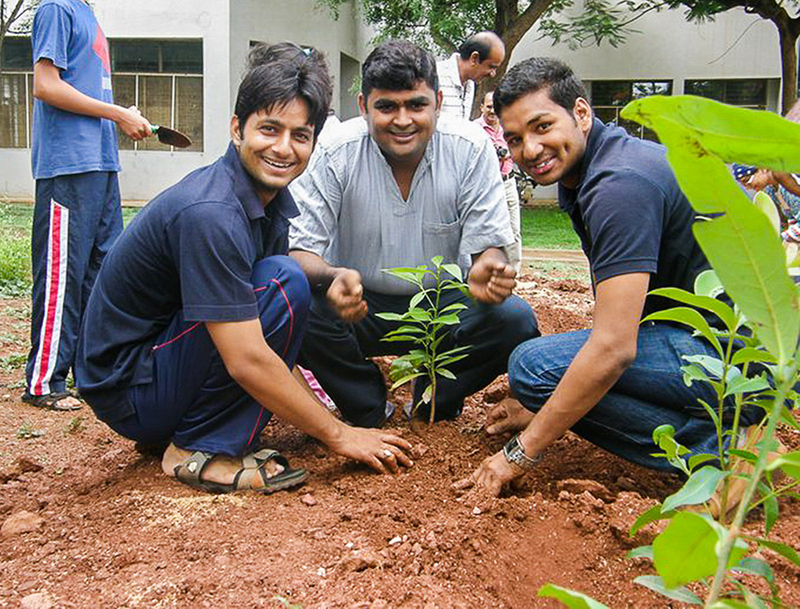 Environmental entrepreneur from India, founder of Afforestt. Formerly industrial engineer at Toyota. - Shubhendu, could you please tell us about your project and how you initially got involved in it? The Afforestt project emerged due to an incident that happened when I was working as an industrial engineer at the Toyota Kirloskar Motor’s factory in India. I prepared assembly lines and dispatching systems for automobile production. In 2009 Toyota decided to plant a forest at the company’s campus and invited a famous Japanese ecologist Akira Miyawaki for this purpose. He gave a presentation of his method, and I was so moved and inspired by it that I decided to learn planting forests myself. I volunteered for Miyawaki’s team, learned his methodology and then planted a forest in my own backyard. Now on the land with an area of only 93 square meters I have a forest with 300 trees of 42 different species. I watched this forest grow and was very impressed by the results. I wanted to create more and more forests like that, so I decided to leave the automotive industry and founded a company engaged in professional afforestation. − When and how did you realize that forestation in the format that you work in can become a successful commercial project? Starting a business was not a problem for me, because I had had a certain experience in that before. But there was a question of what exactly I should open: a commercial company, a non-profit organization or a consulting firm. Finally, I started a commercial company, and we got our first serious commercial project 6 months after we started. The customer was a bit concerned that we wouldn’t pull it off, but they finally trusted us, and we successfully planted our first large forest. − How many projects have you already done? And in what countries? How small or big are the forests that you create? 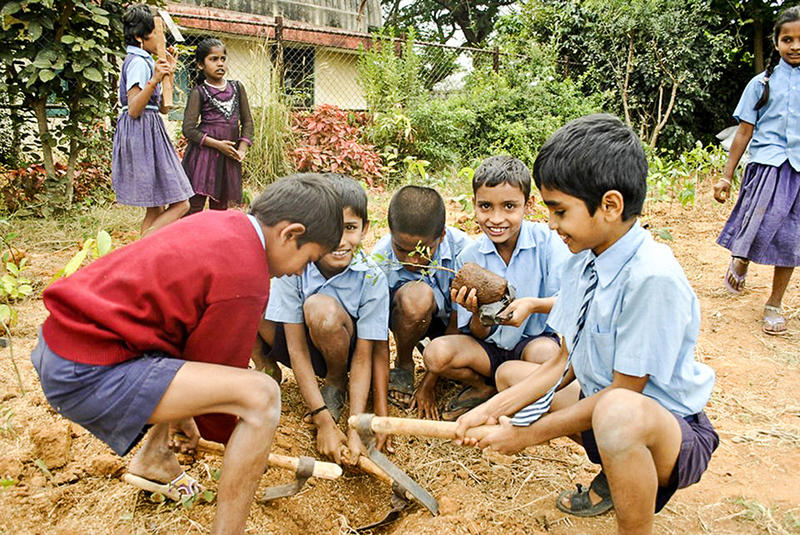 As of now, we have planted 106 forests in 37 cities of six countries of the world. Of course, we did the vast majority of our projects in India, but we have also created forests in the USA, Singapore, the Netherlands, Iran and Pakistan. We have planted forests for factories and industrial facilities, medical institutions, schools, health resorts, apartment buildings, public parks and even zoos. At the same time, many of our projects are significantly different from each other. Most of the projects we do are consulting projects. In this case we do not plant the forests by ourselves but sort of teach the customers and advise them on how to do that. Sometimes we plant the first 400 square meters of the forest, and then the customers continue on their own but with our prompts and instructions. And then there are turnkey projects with us doing the entire job by ourselves, often employing some labor force for that purpose. Our forests can stretch for many acres or grow on a small patch of land in your back garden. Our largest forests usually grow out of cooperation with community-based organizations. Our biggest community project was the planting of 12 thousand trees on an area of 4 thousand square meters. That was the part of the project which happened in our presence, since then the client has planted forests patches of more than 2500 thousand trees on that land. − What do you see as the main goal of your project? Are they mainly environmental goals? If yes, then how does that measure up against the expectations of your clients? We really want to restore the forest space that used to surround us. Most of the places we now live in used to be forests before human involvement. But then we built cities there and forgot that we, like the other 8.4 million species of life forms on our planet, also belong to the nature. We have to understand that a forest is not an isolated piece of land with some wild animals living in it; it can be an integral part of urban life, too. I personally place a special emphasis on one property of a forest: it is a place where trees grow so close to each other that a person cannot walk among them. And whether this place occupies a large or a small area doesn’t really matter. I think that most of our clients plant forests for the same reason as we do: because they love forests and think about environment. But at the same time, they want to create something beautiful, that they can look at and admire. 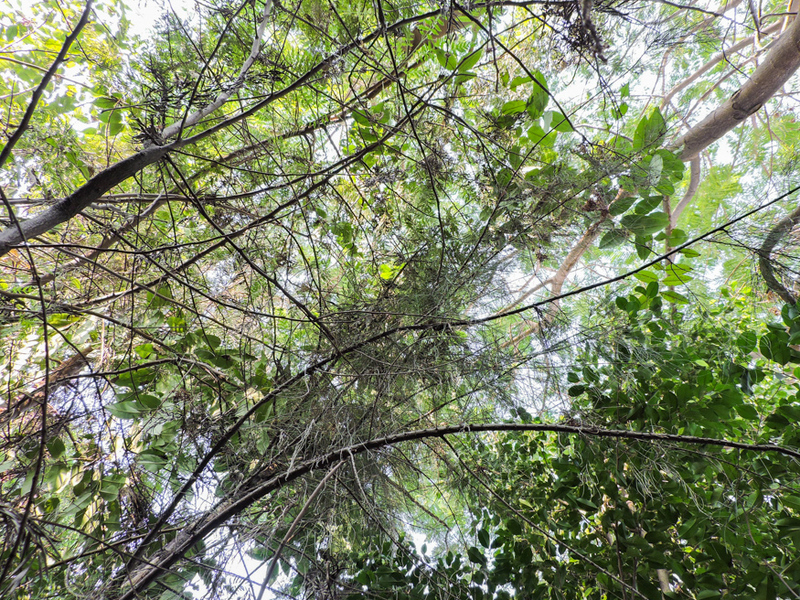 − Why is a forest’s density such an important criterion for you? We treat a forest as a single living organism, although it is also a multi-layered system at the same time. There is a layer of grass, a layer of turf and a layer of humus. Together with microorganisms inhabiting those layers they form one large ecosystem. A perfect symbiosis between them is only achievable when the trees grow very close to each other. In such a case, the trees kind of help each other to grow. If a person can walk in a forest freely, that merely means that sunlight can penetrate the forest as well. And if sunlight reaches the ground, then the water that accumulates in the soil will evaporate, and that isn’t good for the forest. This, in turn, means that the trees have not been planted close enough to one another. And from the environmental point of view any forest needs sunlight, but the sun beams mustn’t reach the ground layer. Although you also have to make allowance for the forest’s location, mind you. For instance, when we create a forest in a mountain area you can actually walk in it, because in the mountains even in natural conditions trees grow more scarcely. − How do you actually create your forests? What are the main stages that this process includes? To grow a good forest, you first need to prepare the soil. So we examine the soil in the location in question in order to determine what properties it is lacking in. For example, if the soil only consists of fine particles, then when exposed to water it will become so dense that water will not be able to percolate through it. To make the soil more porous, we add some biomass to it. If, on the contrary, the soil cannot hold water, then we add some water-absorbing materials: peat or bagasse, so that the soil can stay wet for a long time. In order to grow, plants need water, sunlight and nutritional substances. But if the nutritional substances are insufficient, we do not add them directly to the soil. It is an industrial method that goes against nature. Instead we sow some microorganisms into the soil, and they naturally produce all the required nutritional substances. Microorganisms feed on biomass added to the soil, so all that they have to do is eat and reproduce. And as they grow in numbers, the soil will come alive. We also plant saplings very close to each other. And at the same time, we cover the surface of the soil with a thick layer of mulch that helps contain the moisture in hot weather. Mulch is also useful in cold weather because frost forms on it, allowing the soil to continue breathing. By remaining soft, it helps the roots of the trees to grow rapidly and easily. The first three months are when the trees’ root systems grow: the roots may go up to one meter deep. They form a network that holds the soil together tightly. These roots are inhabited by microbes and fungi that provide the trees with nutritious substances. After the roots have spread out, the forest starts growing above the surface. During the first three years the forest needs to be watered and weeded. In the end, it will become so dense that sunlight will not be able to reach the ground anymore. And in those conditions weeds cannot grow any further. 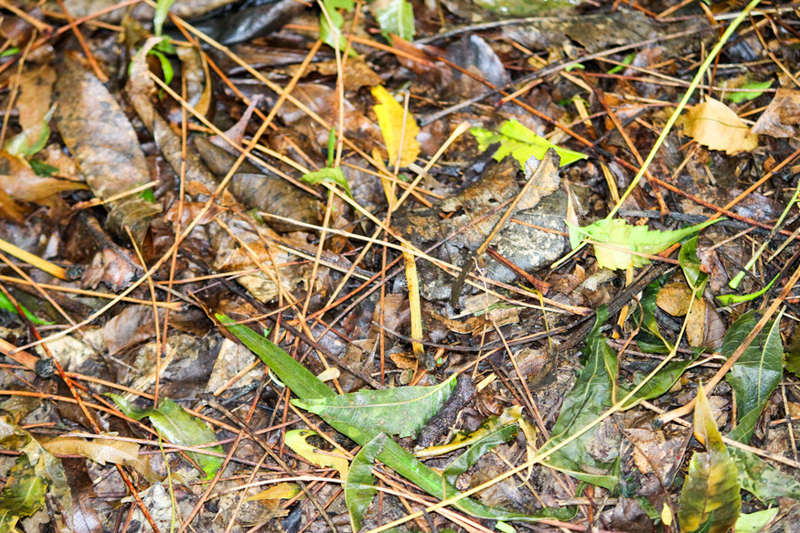 A thick forest condenses moist air, which helps to contain the water inside. This is why we gradually reduce watering and then finally cease it altogether. After some point, even without watering the ground will stay moist. The leaves falling on the ground then start decomposing. And the decomposed biomass forms humus, which is the forest’s feed. As the forest grows, more and more leaves fall on the ground, and that means more humus and more feed, so the forest can grow bigger. It keeps growing exponentially. Such forests can renew themselves again and again. In a natural forest such as this one non-intervention is the best policy. Here everything grows simultaneously. And that is how we are able to grow a 100-year forest in only 10 years. − You said you are able to grow a 100-year forest in only 10 years. Do you mean compared to a natural forest? No, I mean compared to artificial plantations, conventional urban forests planted by people. 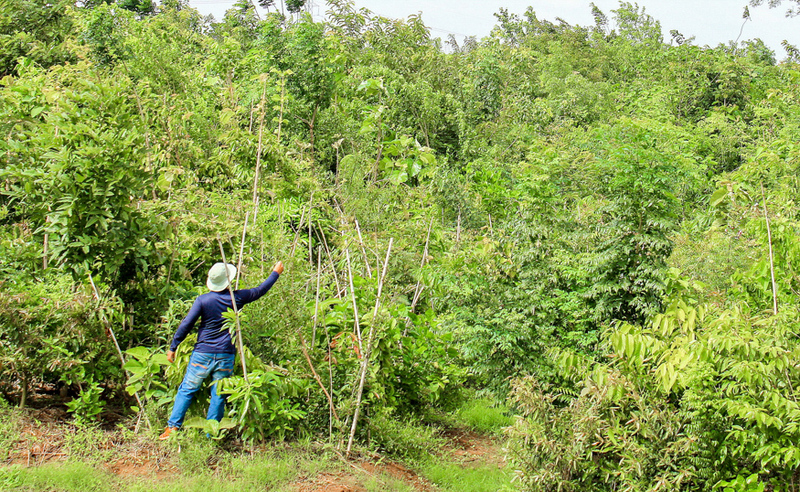 These plantations usually involve planting the trees at a distance of 5-10 meters from each other. While in natural forests and the forests that we plant there are 3 to 5 trees per square meter of land. And we are able to fasten the process of tree growth exactly due to the increased density of plantation, which is close to what happens naturally. We try to bring the life conditions in our forests as close to natural conditions as possible, as if these forests grew with no human intervention at all. In natural conditions, every tree yields seeds that get into the soil. Every square meter can have about 900 seeds, only 3-5 of which will grow to become trees. 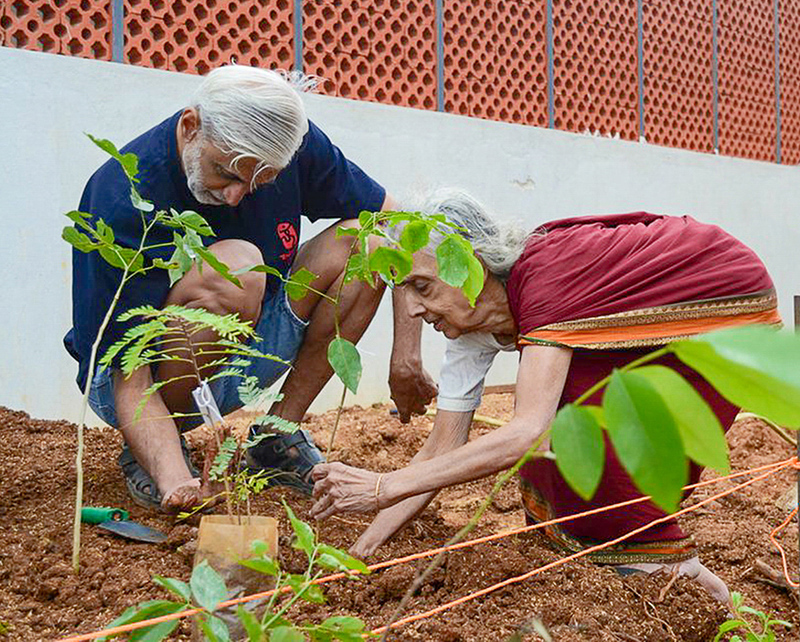 Conventional plantations will have much less seeds, so of course there will be less trees. But trees support each other only when they grow close to each other, and that is the main reason for their fast growth. We analyzed this and came to the conclusion that at that rate trees will grow 10 times faster than if they were planted with 10 meters of space between them. If you compare a tree that is planted in the middle of a lawn, it will grow, say, about 10 centimeters per year, while the same species of trees planted using the Miyawaki method will grow one meter per year. − How do you usually decide what trees you need to plant in a given location? We always give priority to the local species of trees that have grown in that location before human interference. It’s a simple rule. In order to determine these species, we examine national parks, preserves, sacred forests around old temples. If we do not find anything, we go to a museum to look at old samples of seeds or wood. Sometimes local works of art, such as painting and literature, help us to determine the required types of trees. Then we classify the plants by four layers: shrub, sub tree, tree and canopy. After that we establish the correlation of layers and calculate the percentage of every species of trees in the total amount. In order to improve the quality of these calculations we have developed a tree database that registers trees and their individual parameters such as average height, blossom time, average age and growth temperature range. For example, if we have a species that grows up to 50 feet, then the tree right next to it should have the highest possible height of 20 feet, because we do not want them to conflict with each other in 5 years’ time. At the same time, we make sure that trees that belong to the same layer do not get planted close to each other, or otherwise when they grow up they are going to fight for the same space. And the same database allows us to keep record of what we plant, too. 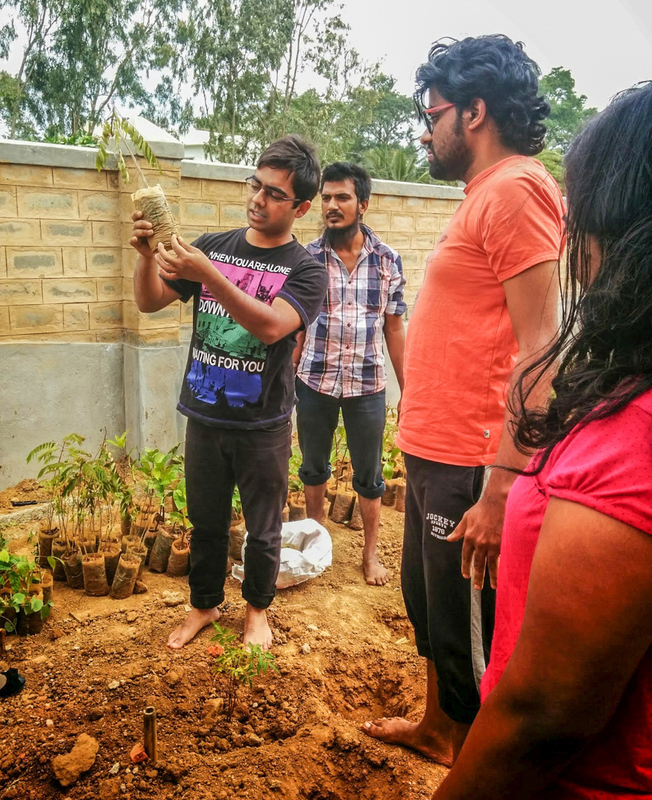 − And why do you use the tree species that used to grow in the area you are planting your forest in, seeing that the climate has changed a lot recently? For instance, in the temperate zones of Russia today we are witnessing the mass mortality of birch trees that have always been a symbol of these areas. Indeed, the climate is changing, and the tree species that have existed in certain areas for centuries may not survive in the same areas today. But I think that when creating a forest one must consider not only the climate of this location but its micro-climate as well. For example, the first forest that I planted had the average temperature of 5 degrees lower inside it than outside. So our task is to create a micro-climate that would allow all the local plants to survive in this region. That is, by planting a forest we create a micro-environment and thus control the climate of this location to some degree. − You are talking about a forest as a system of plants. And what about animals? Do you deal with them too, given that natural forests always have animals? When planting a forest we always start with trees and plants, because they cannot move around, contrary to animals. Trees form the main structure of any forest. When the forest grows up and becomes quite dense, birds come by themselves: they usually choose areas with trees growing very close and nest there. So we don’t have to actually release any birds to our forests, they come by themselves as soon as the forest grows sufficiently. If this forest consists of fruit and berry trees, then there will soon be a lot of insects such as bees that will pollinate the flowers. After some more time animals will start appearing in this forest. For instance, in the forest that we made in the Netherlands we saw hares after some time. So higher animals like amphibians and mammals also usually appear there on their own. But that does not happen all the time, because we often create forests in urban areas, and that means that in order for an animal to get there it has to cross the city, and that is quite difficult. If a forest is a bit away from the city and is large enough, then animals will appear there for sure, because they can find both food and shelter in forests. − You have mentioned fruit trees... And can your forests be used to grow food and other useful products? We grow four different types of forests. When we create a forest for some company, then we mainly focus on its aesthetics, which means that we will have more blossoming trees there. When we grow a forest mostly for the purpose of preserving water in this area, then this forest should have huge trees with roots going very deep into the ground. For a forest in a public park we select species of trees that yield berries or small fruit in order to attract birds. And finally a forest at a farm will include a lot of species of fruit trees. So the combination of trees depends, among other things, on the area and the customer’s preferences. In order to be sustainable and to flourish, a natural forest must be very diverse: it should have at least 50 to 100 different tree species. So if farmers follow the market demand and grow exclusively fruit trees, ignoring all other types, such a forest will not survive. Let me provide an example. One of our clients had fruit trees in his garden: oranges and guavas. But they did not bear any fruit for seven years, and 2 years ago this farmer came to us. So we planted a 120 square feet forest right next to his garden. You will be surprised but now all of his trees bear fruit. I visited his garden a couple of months ago and saw it with my own eyes. In the forest that we planted I saw some beehives with actual bees in them, and now they pollinate both the fruit trees in the forest and the trees in the farmer’s garden. This example shows the benefits of a nearby forest for a farm or a garden. Now that customer collects fruit and berries from the forest, too, but the main advantage for him is that trees in his own garden started giving good yield every year. This example is also a good illustration of the fact that one cannot approach the creation of natural systems from only one angle. Instead they should be well thought out and balanced. − Which of your projects was the most difficult? The most difficult, but also the most interesting one was probably our project in the city of Jaipur, Rajasthan. In 2009 they decided to create a lake there, in the place of a barren patch of land, for the purpose of accumulating and preserving the water that came with rains and amounted to nothing short of 300 million liters. Gradually various animals began settling in that location. The empty wells started to naturally fill with water which in turn led to the restoration of farming in that area. But the land remained barren, it still had not more than 1 tree per acre. So in 2016 we planted a forest with 65 thousand trees there, and we plan on planting even more in the future. But the main difficulty of this project was that the soil did not contain any life, there were no microorganisms in it. So we artificially injected the soil with bacteria so that they would facilitate the growth of trees. − How do you see the future of your company? Do you think the scale of your work is going to change? In the future we plan to export our methodology by translating it to various languages, because now it is only available in English. Our methods are already being used in many countries: North America, Korea, Australia. In the next 2-3 years we are going to study landscapes and natural areas of various regions of the world to determine where exactly it is most viable to plant forests. I would very much like vacant areas to be filled with forests instead of industrial or urban facilities. − In your view, does the humanity have a chance to get out of the problematic environmental situation that it got itself into? Yes, and I think that a lot is being done for that today. Look at what we have been able to do, and we are a small company with only 11 people working in it. We have created forests on soils absolutely unfit for that, on barren wastelands in 6 different countries. About 60 years ago only a large corporation like Coca-Cola could have achieved that. So right now is the best time for everyone to do this. We have all the necessary resources for that and our task is to use them properly. Thanks to the Internet, today we can easily share our knowledge and our ideas. So I am looking into the future with optimism and I believe that people will be able to simply look up the methodology from the Internet and do everything by themselves, even without possessing a lot of resources. As strange as it may seem, the Internet is the very thing that can help us restore the lost forests on our planet.